Delaney and Ryan found me through social media and booked me after a phone conference where I had to convince Ryan I wasn’t a scam artist living in Florida (true story)! I was babysitting my godson and as Ryan heard me trying to discuss wedding photography while feeding a toddler, he understood I must be the real deal. With their own adorable son who would be a big part of their wedding, they decided to bring me into their families for not just one day-but I was lucky enough to hang out with this crew for TWO days of celebrations and family time. 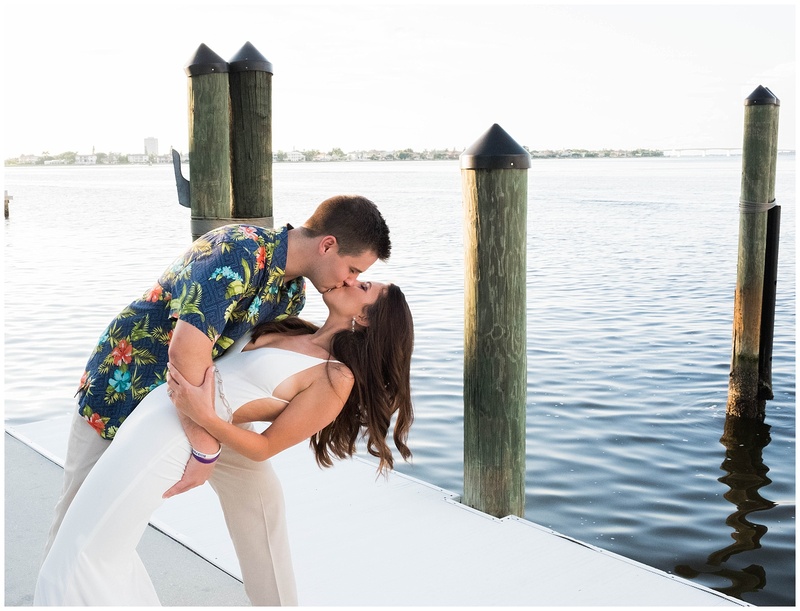 Wanting a quiet wedding with just their closest family and friends there to celebrate, these two families rented a house in Sarasota, Florida and had a gorgeous, Florida foliage themed day. Delaney started the day getting ready with her beautiful mom-to-be sister, along with her mother in law and mom. Donning pink robes and simple but elegant jewelry, the girls getting ready was one of my favorite parts of the day. Especially when Delaney dressed her son in his adorable button down, that I was so pleased to see matched his Dad’s shirt! The guys, Ryan, his brother, his father in law, and his dad were in the opposite side of the house cheering with beers and sharing some pretty epic dad jokes when I got over to that side- and it clear that this family was full of laughter and fun. The ceremony, led by a close family friend, was beautiful and right by the water, but all eyes were on Delaney and Ryan as they laughed, cried, and shared some of the best vows I’ve heard to date. The rest of the night was followed by some backyard grilling, dancing by the water, watching the sunset and the double rainbows that accompanied it, toasts that had me tearing up, and at the end of the night a quick jump in the pool. Delaney and Ryan, thank you so much for having me be a part of your wedding day. It was such a gorgeous and intimate day!